Jughead is convinced the new principal and teachers are trying to turn Riverdale into a training ground for secret agents. His friends obviously think he’s out of his mind, so he decides he needs proof to convince them. 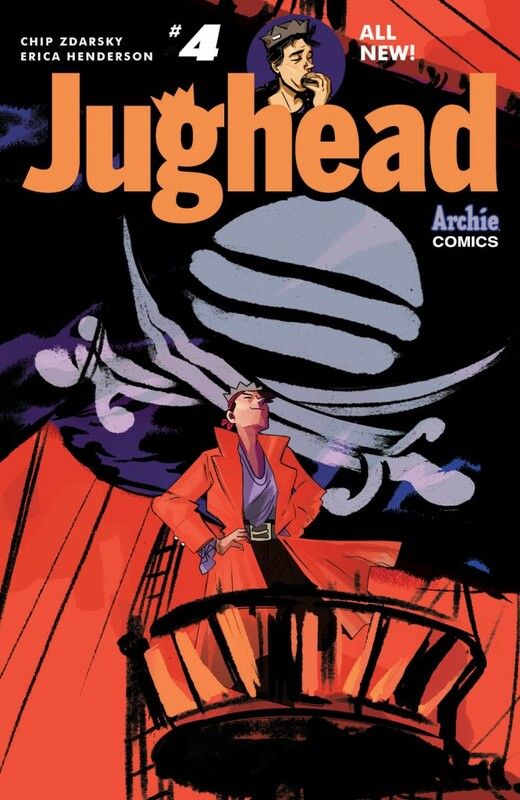 During gym, as he is being used for dodgeball practice, Jughead goes on a pirate adventure in his mind that leads him towards enlisting Dilton’s aid. Admittedly it’s a bit of an outrageous plot, but thanks to Zdarsky’s dialogue and Henderson’s art, it actually comes together for a humorous adventure. It’s silly and light, but a great journey through the creative mind of a high schooler.